A young patient, who presented with upper disphagia, underwent comprehensive gastroenterological examination with no definite conclusion. 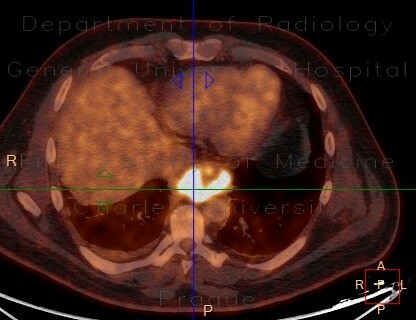 However, CT and subsequently PET-CT (courtesy of As. Kovacova, Institute of Nuclear Medicine) showed large soft tissue mass surrounding the distal esophagus. The patient underwent surgery with resection of the mass and histology showed normal pancreatic tissue.